If you enjoy dining at authentic East Indian restaurants then chances are you've experienced some form of Tandoori Chicken recipe. 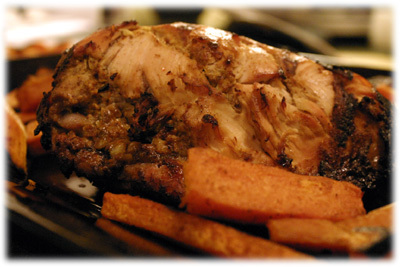 Tandoori roasted chicken is very popular in India and is marinated in spiced yogurt. 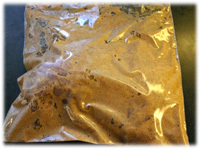 It usually get's its familiar red/orange coloring from cayenne pepper, paprika and turmeric but I've also seen Tandoori recipes that just call for red food coloring (I'd avoid those ones). Traditionally the chicken is roasted in a cylindrical clay oven called a Tandoor, but since most folks don't have one of those laying around we've adapted the recipe to the BBQ. 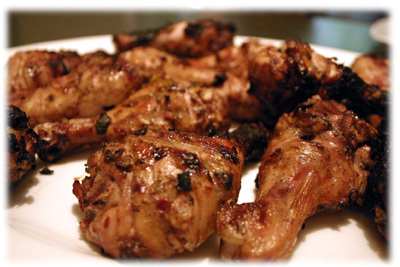 This Tandoori recipe is best made with bone-in chicken like thighs, legs, breasts or even wings, but remove the skin. 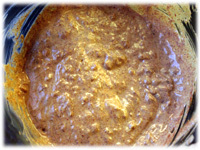 Tip: Add more turmeric/less paprika for a more golden color or more paprika/less turmeric for a redder color. 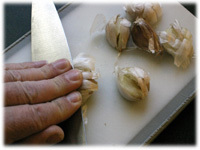 The easist way to peel garlic is to place a clove on your working surface or cutting board, place a large chef's knife flat on top of the clove and with the heel of your hand press down on the knife until it "smushes" the garlic clove. The paper skin can then be easily removed and discarded. Peel the remaining cloves and chop into coarse chunks. Peel the ginger and chop into coarse chunks. Place the chopped garlic and ginger in a blender or food processor and pulse until finely chopped. Remove the lid and add 1 teaspoon olive oil. 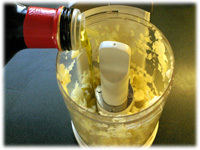 Pulse the food processor again until a garlic/ginger paste forms. 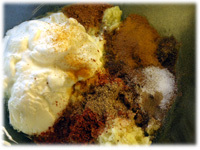 In a large mixing bowl combine the garlic/ginger paste with the rest of the tandoori marinade recipe ingredients. Mix well to combine all of the ingredients. 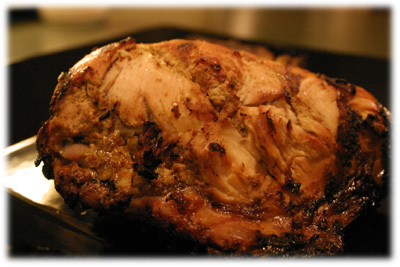 A Tandoori Chicken recipe requires skinless chicken so remove the skin now if not already done. With a sharp knife score deep cuts into the meat several times. Place the chicken pieces and the tandoori marinade in a resealable zip top plastic bag and refrigerate at least 2 hours but no more than 6 hours. 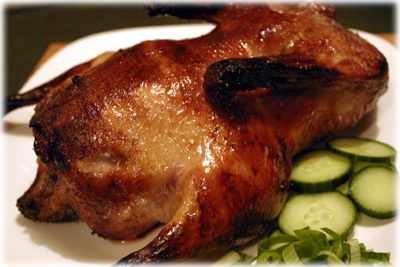 The yogurt is a powerful tenderizing agent and if the chicken is left too long in the marinade it will become mushy. Ensure the BBQ grates are cleaned and well oiled. The grill should be preheated to 450F - 475F. When the grill is at cooking temperature range place the marinated tandoori chicken meatiest side down on the grill for 10 minutes. 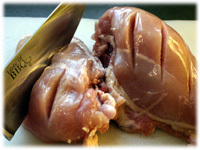 After 10 minutes turn the chicken pieces over and cook another 45 minutes or until the internal meat temperature is 165F. 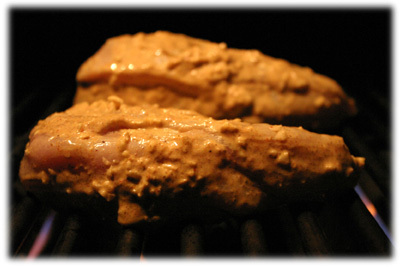 Remove the tandoori chicken from the grill and serve immediately. This dish shown below is served with our new BBQ sweet potato fries recipe. Consider serving the cool cucumber garlic sauce to refresh your taste buds.